These titles focus on the approaches that can be taken in the classroom to develop skills and a conceptual understanding of specific mathematical concepts. Statistics has developed in parallel with the advances of technological and social change. 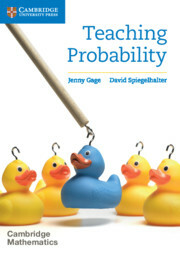 Informed by the work of the Cambridge Mathematics team, this book outlines a new pedagogical approach to teaching statistics. It frames the interconnectedness of the subject around the experiences that students should have, rather than the specific techniques required. 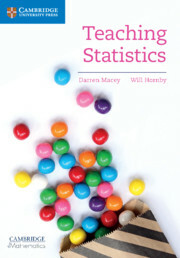 The book provides numerous examples and suggestions that teachers can incorporate in the classroom to help improve the way students understand statistics. Identifies approaches, activities, assessment questions and extension projects as part of teaching statistics. Provides an approach to teaching statistics that places student experience at its heart. Includes lesson materials that can be used and adapted, according to the ability, age or needs of the students. Clearly written throughout to help increase confidence in teaching this specific concept. Part 1 A vision for statistics in schools: 1. What should all students understand and why is it important?